First of all, combine the sugar, corn syrup, water, and food coloring in a heavy sauce pan. Turn on medium heat and let the mixture come to a boil. In addition, be sure to have the thermometer inserted into the mixture but not touching the bottom. Let the mixture come to 150°C. This should take around 20 minutes. 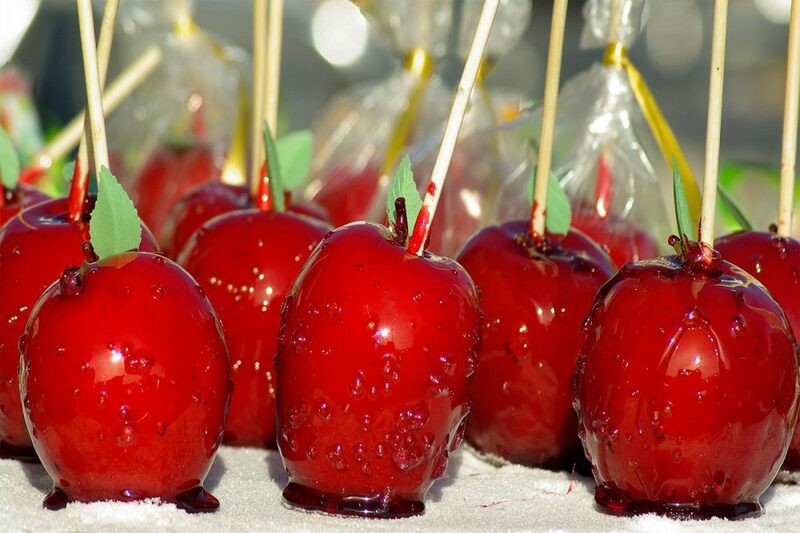 Make sure your apples are ready and pop them on the sticks, spray a baking tray with non-stick spray. When the mixture reaches 150°C, immediately remove it from the heat and use a rubber spatula to stir in the vanilla flavour. Stir it gently to get the flavour evenly mixed. Most of all you’ll want to work quickly because the mixture will start to cool immediately. As soon as the colours are evenly mixed in, begin dipping your apples. Consequently, I like to tilt the pot to get them really well coated, then let the excess drip off for at least 10 seconds. After dipping them, set them on a baking tray to harden. Most of all please remember to be careful, this sugar is HOT! 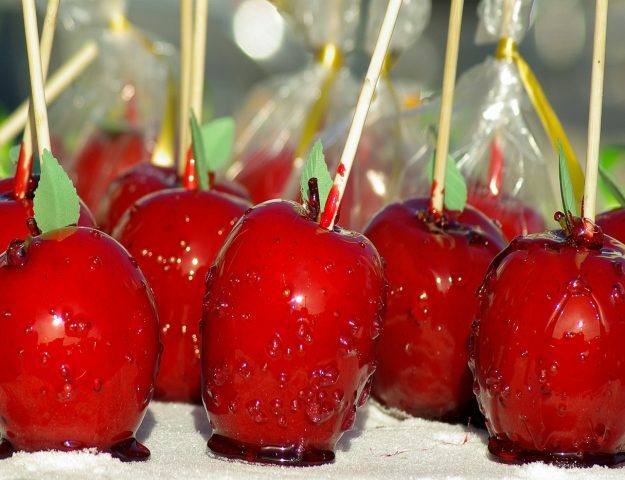 It will only take a couple of minutes for the Multicoloured Toffee Apples to harden and be ready to eat, enjoy!